Russian business with a UK subsidiary or listing? The SFO fire another warning shot. Any Russian business with a UK subsidiary or listing potentially places its worldwide business conduct under the SFO microscope Richard Alderman, SFO Director, told delegates to the US-Russia Business Council at their 2011 Legal Seminar in London. The speech contained a number of thinly veiled warnings. The presentation followed on from a week Richard Alderman spent in Russia in March earlier this year when he traveled to Moscow and St Petersburg and met many Russian companies or foreign companies doing business in Russia. The visit made a lasting impression on him. The challenges faced by those operating in Russia are significant. The comments are consistent with surveys conducted by Transparency International formally and informally and general perception. Against this back drop we know that irrespective of whether they have securities listed in London Russian groups, who often have large worldwide corporate structures incorporating offshore and on shore elements, are extremely keen to understand if these structures are vulnerable to the Bribery Act. “A foreign company that carries on business or any part of its business within the UK is within the scope of the Bribery Act in respect of any of its activities anywhere in the world. The phrase “carrying on business” is a very general one and the SFO is adopting a very wide interpretation of these words. The words need to be seen in the context of international groups with complex business structures sometimes based on very different systems. Many have assumed (especially after the publication of the UK government guidance which cast doubt over whether a UK subsidiary or listing would sweep non-UK businesses into the Bribery Act net) that the activity of a sister company paying bribes in another country would not trigger Bribery Act liability for a foreign parent (or its UK subsidiary) and that as a result the SFO would be powerless to act. What will be an appropriate case? Where is the UK public interest? Underscoring the warnings Richard Alderman the FT reported that Mr Alderman emphasised that surprise arrests of overseas nationals at UK borders could be on the cards. In our view there are significant hurdles for the SFO in investigating and prosecuting Russian Companies and nationals. At a recent meeting with the SFO we highlighted the challenges in investigating, prosecuting and punishing a Russian group. However, it is clear that in spite of these difficulties Richard Alderman is keen to test the new law. The SFO has signaled that it is looking to investigate and prosecute Russian companies and senior officers where appropriate if, say, a Russian business subsidiary in CIS bribes another (whether directly to win business or by way facilitation payments to carry on business) and a UK business does not and is disadvantaged as a result. Examples of disadvantage which have been given include (a) direct disadvantage e.g. a UK business not winning a contract or (b) indirect disadvantage e.g. a UK business being unable to move goods or access an electricity supply etc. as a result of an ethical stance in refusing to pay facilitation payments. The only real question is, assuming the SFO is as good as its word, how long it will take until the SFO act. With the legal and practical difficulties we have highlighted and some of which the SFO have acknowledged: the stage is set for an legal interesting battle. 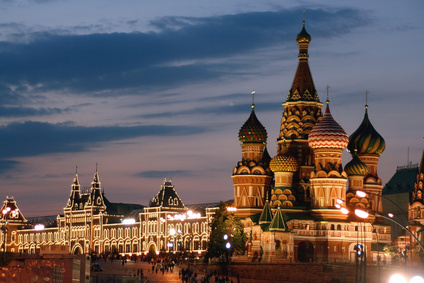 PS: We will be in Moscow & St. Petersburg in July for various meetings – we have a busy schedule but please contact us if you would like to meet – we will try!